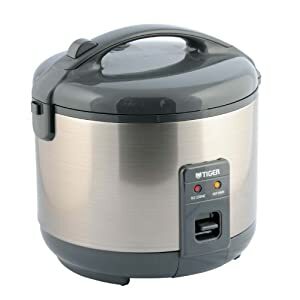 If you are concerned about purchasing a rice cooker that was actually made in Japan then Tiger is a good choice. This is their top level electric model. It does not come with the Micom component. This is a solid device that is great for making white rice. It does not have a wide variety of different cooking settings though. You can either turn it on or off. The simplicity of the Tiger JNPS10U serves it well. It is sturdy and very easy to use. Once you have washed and rinsed your rice, just close the lid and switch the unit to on. Then once your rice is done, it will automatically switch over to its keep warm mode. Be warned that this model is primarily for cooking white rice. 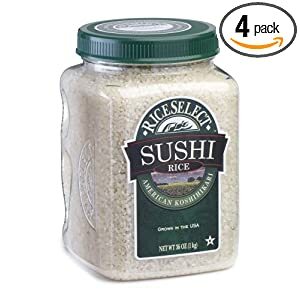 So if you want to eat lots of brown rice then this might not be the best choice for you. 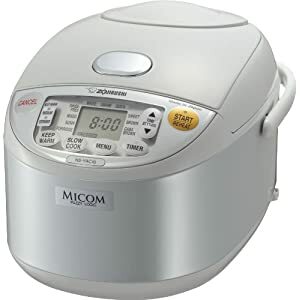 Instead you should pick a Micom rice cooker that has a specific brown rice cooking setting. The Zojirushi NS-YAC10 makes a good choice because this unit can also make GABA brown rice. What I like about the Tiger machine pictured above is its brushed stainless steel colored exterior. Also the inner lid is removable. For me, this is an essential feature. It makes it easy to wash away any rice scum/crust that may begin to build up. In addition, if you choose to cook mixed rice dishes, washing the inner lid helps to remove unwanted food odors. Go to Amazon if you would like to get hold of a discount Tiger JNPS10U as they offer the best prices available online for these kitchen appliances..